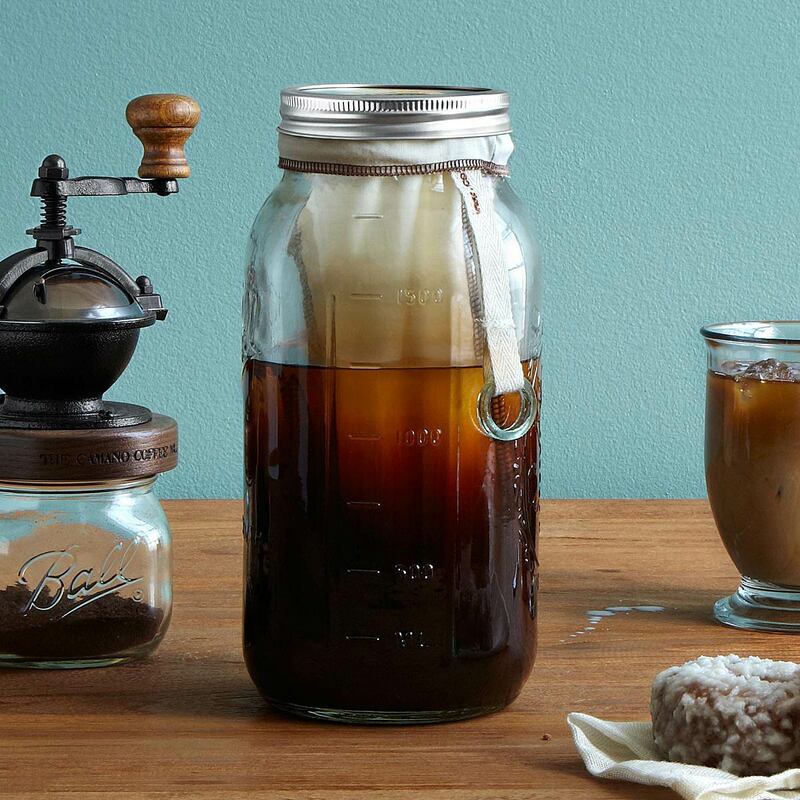 Apparently Cold Brewed Coffee is all the rage right now. I could not figure out why it was a big deal. Then I tasted it!!! OMGoodness. 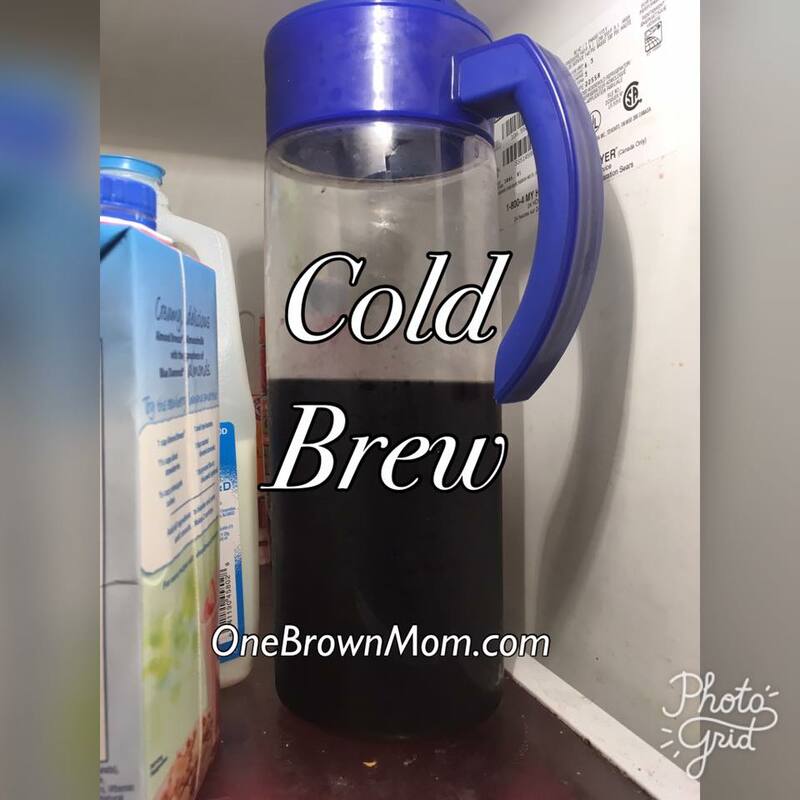 If you're an iced coffee fan and you haven't had cold brew you're REALLY missing out! Cold Brew is SUPER easy to make and is MUCH smoother than coffee made with heat. 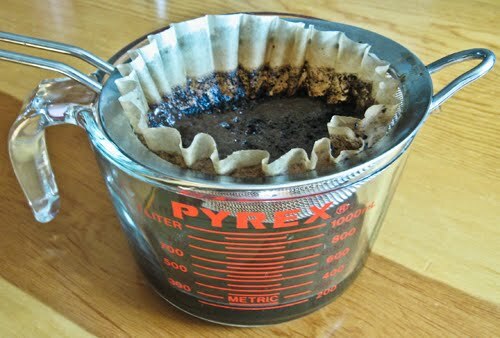 In the absence of heat, the coffee beans give off more caffeine and reveal their natural sweetness. 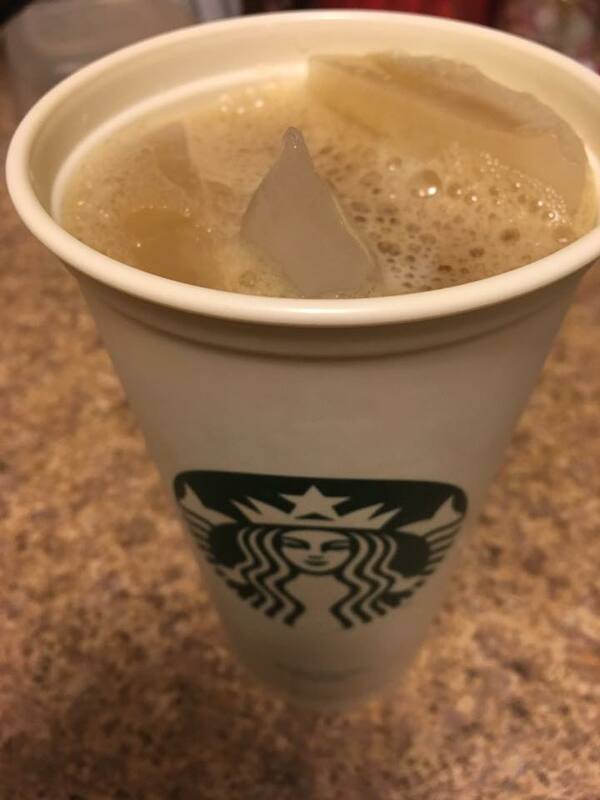 ALSO, cold brew is less bitter than hot brew coffee. This is not a sponsored post - lord how I wish it was!!! Hey Starbucks, Teavana and Chock Full o' Nuts, how about you send me some free stuff! Because cold brew coffee sits in the water for longer than hot brew it releases more caffeine. 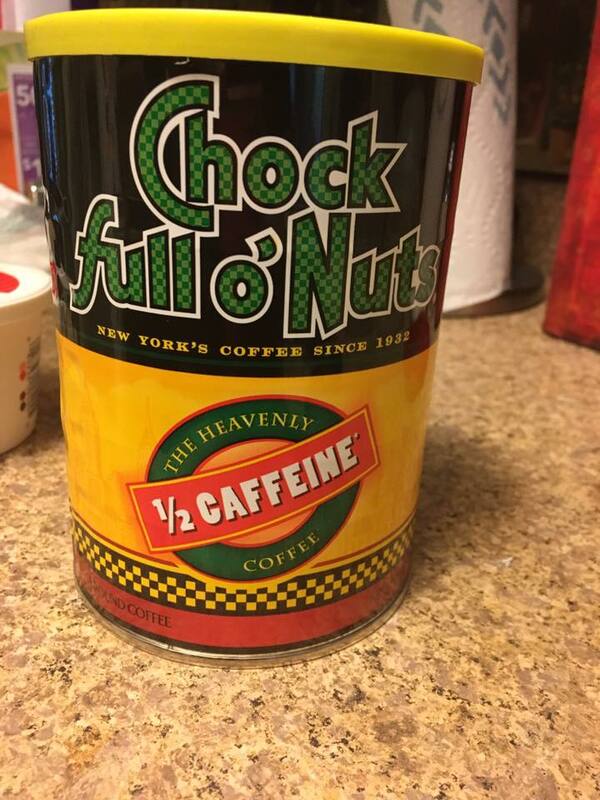 I chose 1/2 caffeine coffee so that I'm not over caffeinated. 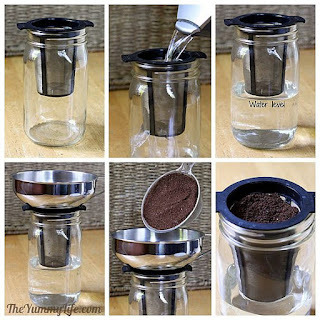 You can use any kind of container to make this coffee. I use the 66 oz. 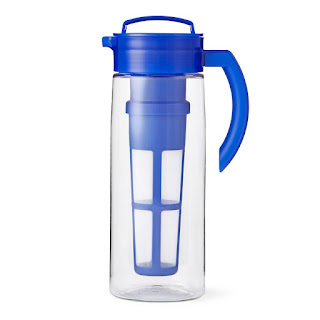 Teavana Pure Blue Infusion Pitcher. 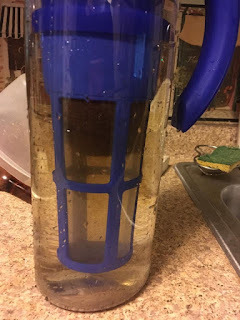 The benefit of this pitcher is that I don't have to strain the coffee from the water. 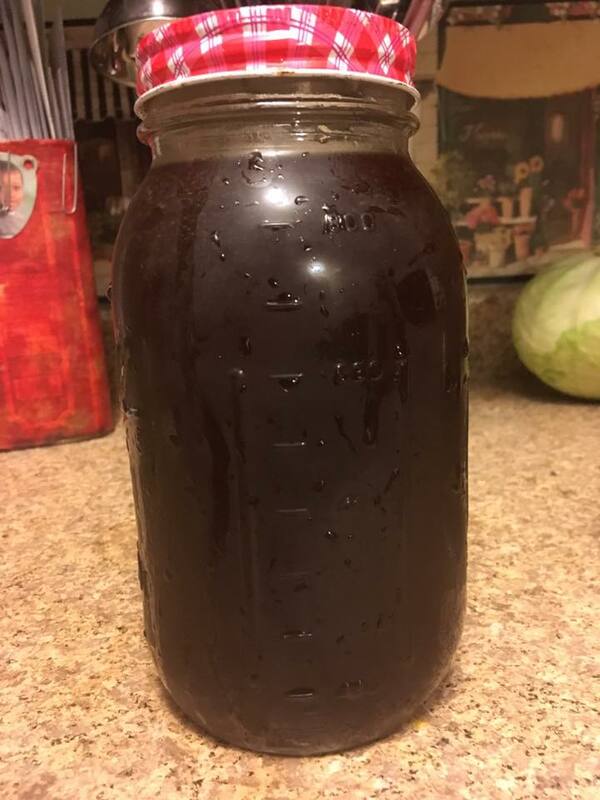 Before I bought my iced tea pitcher, I used a mason jar. It worked just fine. Combine the water and coffee. 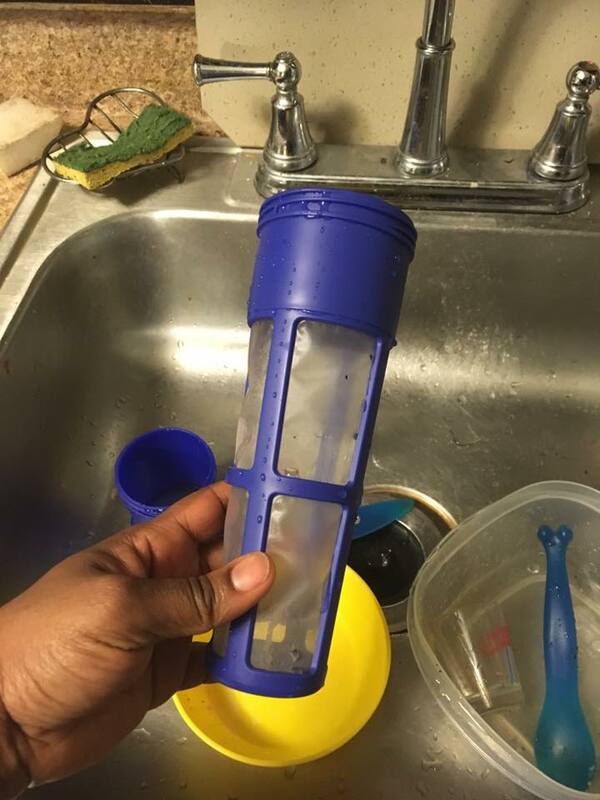 Refrigerate for approx. 12 hours. 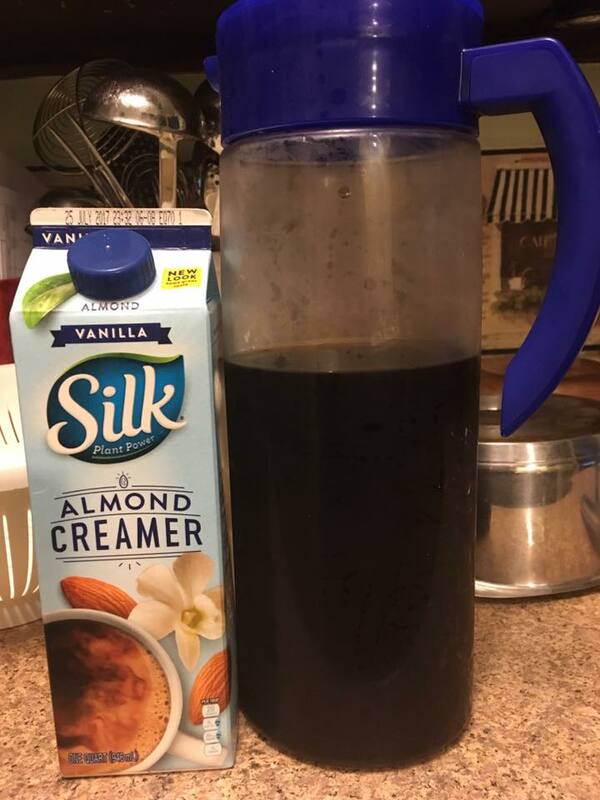 I prepare this coffee in the evening and drink it for breakfast. At first it looks like there's nothing happening. After a while you'll see a dark coffee cloud begin to form in the container. 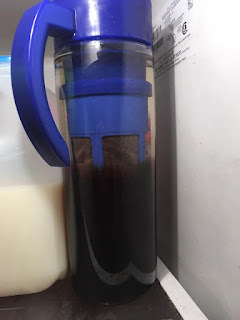 When I make cold brew in an iced tea pitcher, I simply remove the strainer and toss out the spent coffee. When I make cold brew in a mason jar I pour the coffee in a kitchen strainer lined with cheese cloth, coffee filter or muslin. The are a LOT of gadgets on the market for straining cold brew. Use the one you like best! Honestly. all of these methods work equally well. Because I make cold brew only once or twice a week, I prefer my iced tea pitcher. 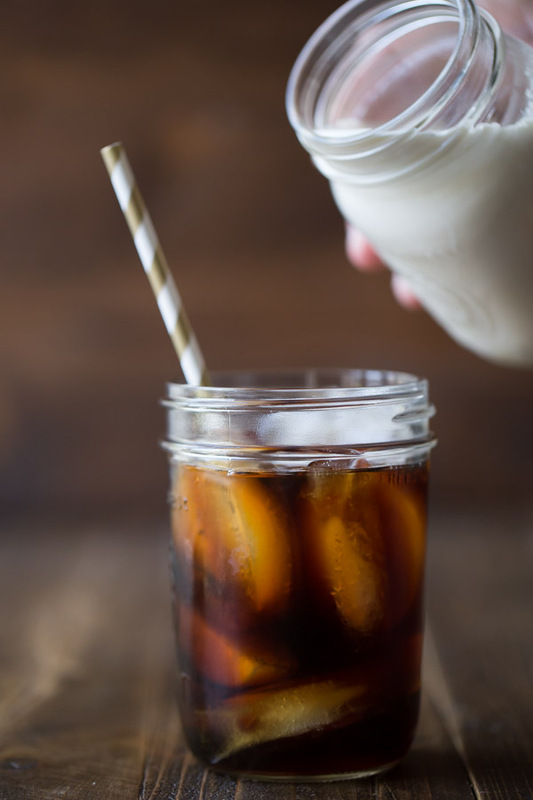 Because cold brew can be very strong, people usually drink it with milk or cream. Before you decide how you'll drink it, taste it first! 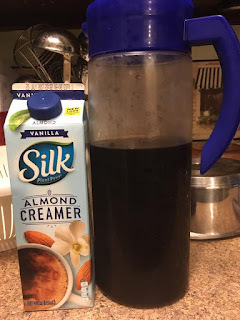 I like my cold brew with a Silk Almond Creamer and lots of ice! Poured into my reusable Starbucks Cup and I'm ready for the day! For QUICK iced coffee, try my MASON JAR COFFEE! 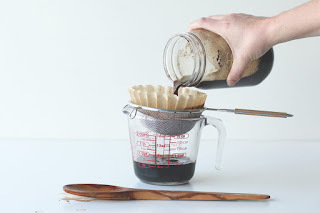 If you've got a sweet tooth, check out my recipe for SALTED CARAMEL COFFEE SYRUP! For more RECIPES click here!